The French national police team that have lost a service dog during a recent anti-terrorist raid in Paris suburb may soon welcome a new four-legged member from Russia. 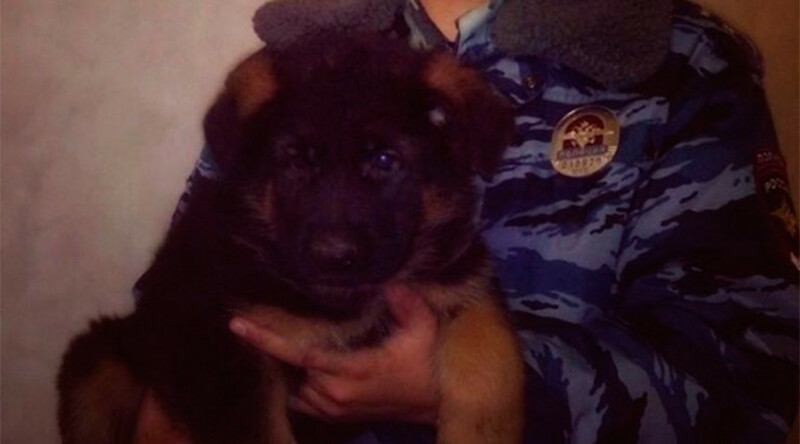 In a gesture of support, Russia’s Interior Ministry has decided to send a German Shepherd puppy to the French police that lost a seven-year-old Belgian Shepherd service dog, named Diesel, in the Saint-Denis raid against the suspected mastermind behind the deadly terror attacks in Paris that claimed 130 lives last week. Russian Interior Minister Vladimir Kolokoltsev has forwarded a letter to his French counterpart Bernard Cazeneuve, expressing sympathy in relation to the deadly attacks in Paris. “I assure you of our readiness to cooperate against crime and terrorism,” the minister wrote. “The puppy is called Dobrynya after a Russian epic knight, who is a symbol of strength, kindness, bravery and selfless help. The puppy will be sent to France as a sign of solidarity with the French people and police in fight against terrorism,” ministry's spokesperson Elena Alekseyeva wrote on her Instagram page. The news about Diesel was broken by the French national police on Twitter, prompting a wave of messages of gratitude to the heroic dog that protected officers. Instagram, Twitter and Facebook users quickly responded with photos of their pets accompanied by the hashtag #JeSuisDiesel, mourning the loss of the dog that died in the line of duty.